Who does not want a squeaky, clean home, or an office? Since people are becoming increasingly busy, carpet cleaning franchise services are filling a need that is towards the bottom of many to-do lists. If you are looking for a business that creates happy customers and improves their overall quality of life, a new carpet cleaning business might be your next venture. It is one of the few smart business ideas that all entrepreneurs can succeed with. 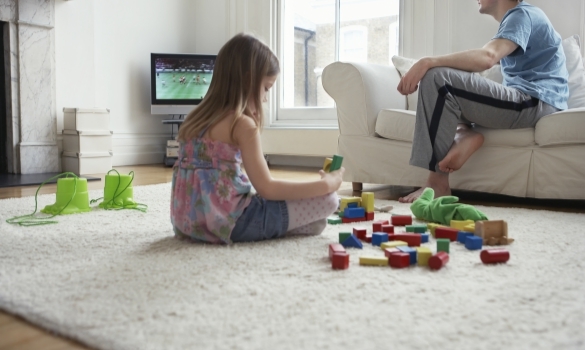 Professional carpet cleaning services are filling a huge demand. Previously, one needed to get their hands dirty to clean their rug at home or the office. With help from carpet cleaning services, customers are getting a quick and expert solution to cleaning their carpets. A carpet cleaning franchise is probably your best option for starting a carpet cleaning business. By entering the carpet cleaning business as a franchise, you can gain adept and knowledgeable expertise to meet your clients’ demands. Instead of learning on the job, you will be prepared and understand your trade, perfectly. With a franchise, you have access to experienced professionals in the field to get you started and help you with any technical sides of the business. In addition, franchises typically have featured vendors or suppliers for equipment you may require. Buying a carpet cleaning franchise is comparable to buying an all-included solution. These types of franchises include everything you need to succeed in the carpet cleaning industry. That even includes providing the carpet cleaning tools you need to get the job done. In addition, they also provide help with sales, marketing and other operations tasks. If you want to start a carpet cleaning business that is sure to experience success, consider investing in a franchise. Furthermore, there is a large market for carpet cleaning franchises to grow. Sourcing one survey from Floor Covering Weekly, a leader in carpet cleaning proudly determined that 10 billion square feet of floor area is carpeted across a number of houses and offices every year. Naturally, all of them need to be cleaned by someone.This provides an excellent opportunity for you to partner with Real Property Management business owners to grab some of those new square feet of carpeted floors for your franchise. Carpet cleaning franchises are environmentally friendly. If cleaning and improving quality of life for others is not enough, how about opening a franchise that is environmentally responsible. Of of the many carpet cleaning franchise options, The Oxi Fresh carpet cleaning franchise offers greener ways to start your business. They train franchise owners and teams to use their innovative, powerful oxygen driven methods that are completely environment friendly. Once you buy a carpet cleaning franchise, the growth options are very attractive. In addition to carpet cleaning, franchises also offer complementary services including everything from upholstery maintenance to wooden floor cleaning too. Your customers would become real relationships for potential repeat and new business. If you are still unsure of whether the carpet cleaning business is the right fit for you, this may help sway you. Anyone, within reason, can open and run a carpet cleaning franchise successfully. You do not need any sort of specialized technical knowledge to make money in this industry. When you purchase a franchise for carpet cleaning, they will provide you with all the business information and guidance you need to deal with the business side of things. They will also provide guidance on proper equipment and cleaning procedures for every stain you may come across. Anyone can open a carpet cleaning franchise with a little bit of corporate help! There is a popular saying, “cleanliness is next to Godliness” with the meaning that there is divinity in a clean room. When buying your own carpet cleaning franchise, you make the world a better, cleaner place. If this inspires you into action with your commercial embroidery machine, a carpet cleaning franchise is probably the right match for you. I was delighted to find this site on bing, just what I was searching for 😀 also saved to bookmarks.